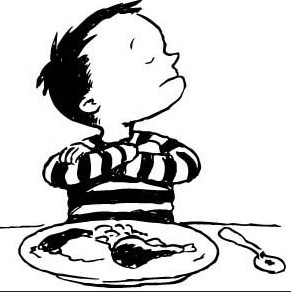 How many of us have dealt with a picky eater in our lives? We all know someone who fits the description. It may even be a child of ours. Whenever I think of a picky eater I remember the movie When Harry Met Sally. Sally personifies the picky eater perfectly. Picky eating makes us think of someone as quirky, idiosyncratic or worse, a nuisance. A recent study published in the Journal of Pediatrics unveils a far more serious side to picky eating, especially in our children. Picky eating may be a sign a child is suffering from anxiety and depression. The study followed children from the ages of 2-6 for 3 years. They found that picky eating can be associated with separation anxiety and ADHD. To be clear, the study is not saying all children who are picky eaters are suffering from the same conditions. What it does show us is we should no longer view picky eating as a phase or quirky trait. It should not be trivialized or dismissed. In fact, the study indicated that picky eating or “selective eating” might have long- term consequences on a child’s health. Some may be suffering with Avoidant/Restrictive Food Intake Disorder (AFRID), a recently recognized eating disorder. It is estimated that while most kids out grow their picky eating, at least 12% do not. Make eating an exploration. Discovering new foods can be full of fun. It can start by touching a new food, smelling it and even licking it. The goal is not necessarily to eat it the first time it is introduced. 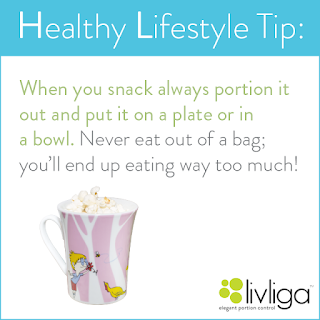 Do not make eating a certain food a “have to”. A sure way to have a child hate a food is to insist they eat it and eat it all. Instead make it about discovering tastes. A child’s tastes change over time so re-trying a food should be encouraged. What a child did not like at two may now be something they like at four. 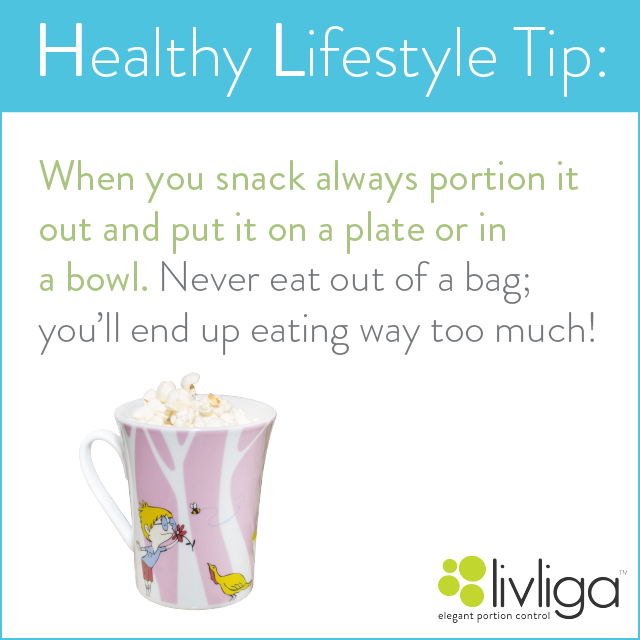 Avoid indulging picky eating. Instead of always feeding the picky eater the only foods they like, serve up a variety of appealing foods…just don’t force them to eat them but rather explore them. Have the picky eater help pick out new foods to explore and help prepare them for your meal. Studies show if children are involved in choosing the food they eat and helping to prepare it they are more likely to try it. Help your child learn about the importance of balanced meals and nutrition. Share with them how the foods we eat are important for being healthy, having energy and to do the things we want to do from thinking to playing sports. Learn together how different foods are good for you to eat and why. 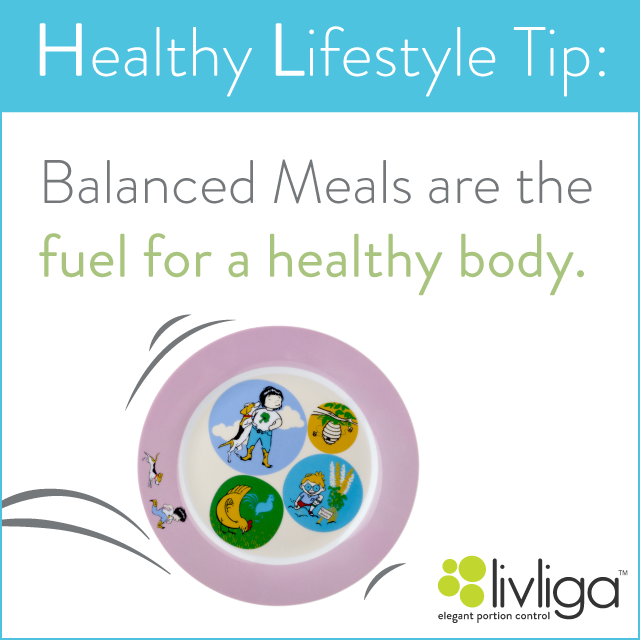 Read children’s books that teach children about what a balanced meal is, why food is important and how to cook. A fun book to enjoy together is Sammie & Sax in the Land of Quinoa: The Search for a Balanced Meal. Above all a child’s experience with food should be enjoyable and even fun. 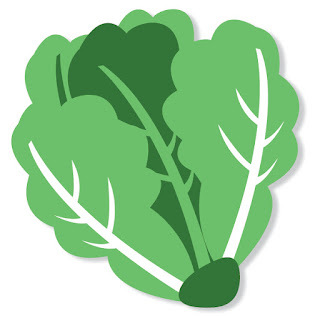 Incorporate activities around learning about food. Go pick your own berries or other foods. Go to a farmer’s market. Visit a farm. Take a cooking class together. Bake muffins and cookies and share them with neighbors and family. Experiment in the kitchen and make up your own recipes. The fun can be endless and a great way to spend time with your child. If you want more ideas or are concerned your child may have other issues beyond picky eating make sure to talk to your pediatrician. What we now know is picky eating is no longer something to be ignored or dismissed. Knowing this we can take positive steps to address the needs of our picky eaters so they can be healthy and enjoy eating all variety of foods. 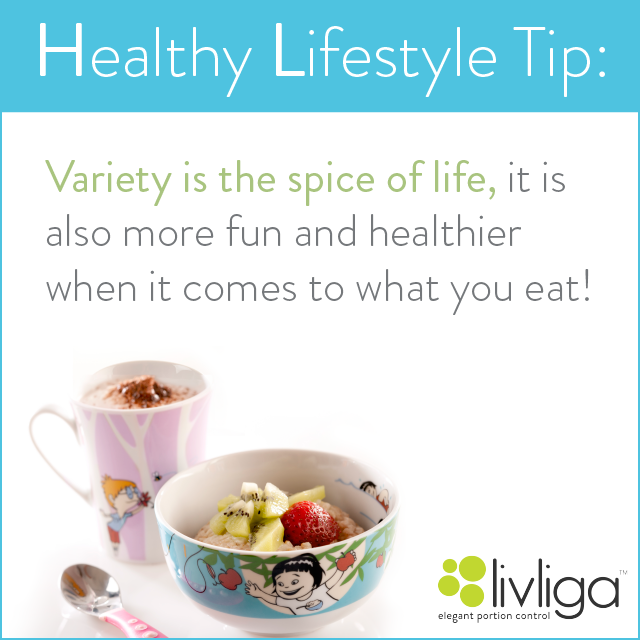 Great Resource: For fun games, recipes and a special dish set that teaches children about right-sized eating and balanced meals got to www.LivligaHome.com and check out all things Kidliga. Family Night can be Made Fun and Healthy with DIY Shrimp Tacos! Do-it-Yourself meals are super fun and easy to do. Put all the toppings and the shrimp mixture in bowls with spoons so each person can pick and choose the rainbow of colors they want to include on their tacos. Keep the tacos warm by keeping them covered with the foil on a plate at the table next to the toppings. Sammie and Sax love taco night…and so does Rhubarb! 1. Spray 12-inch nonstick skillet with cooking spray. Add oil. Heat over medium heat. 2. Add garlic and cook 30 seconds. 3. Add frozen pepper and onion stir-fry mix and raise heat to high. 4. Add cumin and chili powder and stir well. 5. Cook until vegetables have thawed, 3 to 4 minutes, stirring frequently. 6. Add shrimp and cook until just heated through, about 2 minutes. 7. Wrap tortillas in aluminum foil and heat in oven until warmed through. 8. 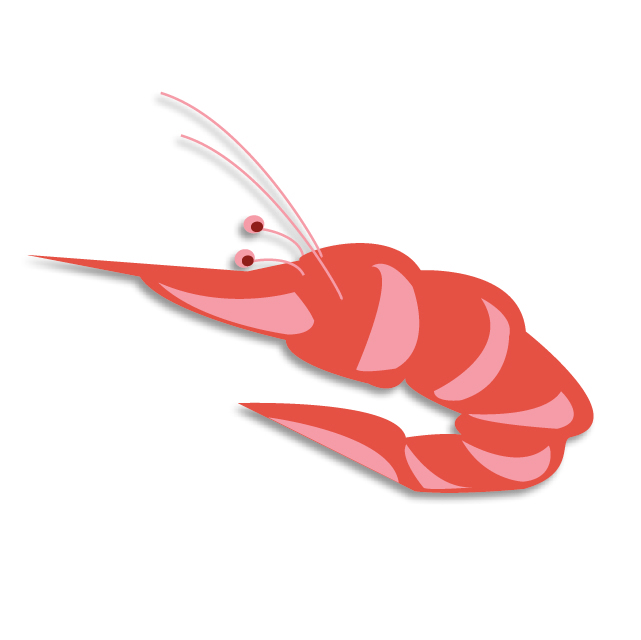 Remove shrimp mixture from heat and season with salt and pepper. 9. 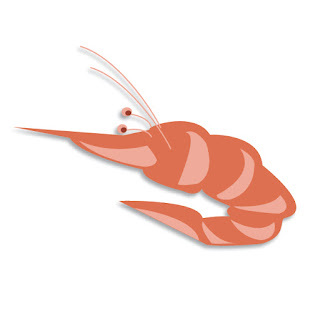 Place shrimp mixture in a bowl with a serving spoon. 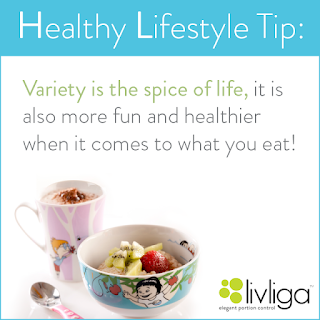 Place all toppings in their own individual bowls with their own serving spoons. Place tortillas on a plate. Arrange everything in the middle of the table so everyone can serve themselves. Serves 4; 2 tortillas per person. To complete the meal, serve with the Lip Smacking Frozen Fruit Salad. We all know our kids are not getting enough regular exercise. The truth is we aren’t either. The challenge becomes how do we all get moving? Not long ago the Center for Disease Control made a profound statement. They proclaimed that we are now living in a generation where parents are going to out live their children because of obesity. When you think about it, this is a very frightening and scary statement. The good news is that as parents we are not powerless. As parents we are powerful role models. Making a commitment to build more exercise into our lives can not only help us live healthier lives but it may just save our children’s lives. The key is that our children need to see us in action. In order to become healthier and live a healthy lifestyle we all have to change our habits. A great way to get moving is to build exercise and fun activities into your family’s routine on a regular basis. What you choose should be something you enjoy doing, is easily planned and remember, it doesn’t have to cost a lot of money or any money. Ask for the gift of exercise. Think of it as a “positive” bribe. On more than one Mother’s Day I have asked members of my family to commit to giving me the gift of working out with me for a period of time. It is a great way for each of us to be committed to exercising. For the kids it is a way for them to give you something you want without a whole lot of effort or money. With my daughter I even did exercises together with her. I really enjoyed it and she did too. Plan a special activity over a vacation or holiday. A way to build in activities you have never tried before or that require a little more planning, think about making them a part of a holiday. Where we live it is possible to go horseback riding. It is actually more work than you realize. Or you could sign up for Line Dancing or a Karate class. 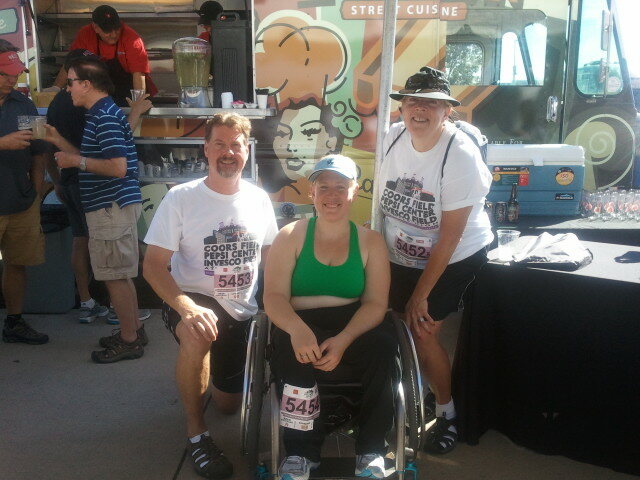 Sign up for Run or Walk and include the family. Over the years our family has done a number of runs/walks together. The list has become long. It is a great way to raise awareness and funds for an important cause, spend time with your family and also practice fitness. Most communities have a ton of opportunities to sign up from The American Heart Association or March of Dimes to local hospitals or health oriented organizations as well as special needs associations. Pick one that means something to you and sign up to do it. Get it on the calendar early and then do it annually. It is a wonderful community to become a part of. Fit in some weekend fun. We have come to look forward to the weekends. There are many activities, like cycling, kayaking or hiking that can take more time than you have available during the week. We love to get on our bikes and pick new places to explore on Saturdays. Or it could be taking your dogs to a new park and walking around it with them. Take a Frisbee too and you can add even more fun. 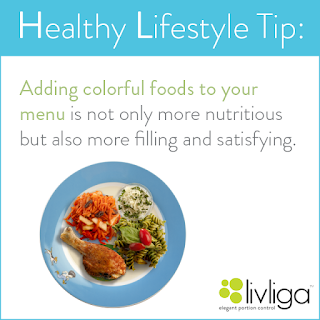 Think about an activity before or after dinner. Often we tend to lose a lot of time in front of the TV before and after dinner. This is a time we can often fit in a short walk around the neighborhood. My dad used to do this all the time we were growing up. It was a way for him to relax after work. We were always invited. Some how I got out of the habit until recently. Now I love my evening walks with the dogs and any other family member who can join me. We have found the more we do work in family exercise the easier it becomes to sustain it. The challenge is to make it the priority and work the other parts of our schedule around it. Regrettably, we tend to put exercise at the bottom of our list of priorities until we realize the health of our family and the quality of our lives depends on it. In reality, there is no better time than the present to get started moving. That is why we want to make it fun and enjoyable. Taking a walk or doing a “run” or trying out a new activity are all great ways to spend time with the ones we love. Not only are we moving, we are also bonding and sharing the important value of health. There is no way to beat that. Let’s commit to live vibrant! This smoothie is a great way to drink your vegetables! It is so packed with good nutrition you’ll be ready to zoom around on your bike or climb on monkey bars! 1. Add water then each ingredient one at a time into a blender with its top on and the center hole open. 2. Add crushed ice lat once all other ingredients are mixed together. 3. Serve immediately. Divide evenly for 2- 8 ounce servings or 1-16 ounce serving. To make smoothie drinking even more fun and enjoyable for kids check out the Kidliga Sammie & Sax dish set that is all about making healthy eating for kids a natural way of life.